When you decide to sell your collection, it is wise to have it appraised first. By doing so, you’ll find out exactly how much your collection is worth. The value depends on the condition the coins are in, which you can find out by grading them. Also, the date and the mint mark are significant in determining a coin’s value. For example, those coins that are over a hundred years old, plus in good or great condition, will sell from one hundred to a couple thousand dollars! So, find a knowledgeable appraiser and maybe you’ll discover that you own an old and rare piece that can sell for quite a bit of money. When it comes to appraising, Colonial Acres can help you get the most from your rare Canadian coins. Grading is done for those high-quality pieces from the collection. You can even get a simple start when it comes to grading by getting reference books where you can learn a lot about coins. In order to gain experience, you can try comparing several coins and try to notice the small differences and features. Also, you can get your coins graded by professional coin grading companies. It is important to know that those coins that you’re aware aren’t worth a lot shouldn’t be graded. You don’t need to pay to grade the pieces that won’t sell for a lot of money. If you don’t want to ruin your valuable coins, the best thing to do is avoid cleaning them altogether and completely. There are a lot of DIY coin cleaning tips on the internet but none of them are really safe and don’t guarantee that you won’t end up with scratches on your coin. Mostly inexperienced coin collectors will often try to clean the coins thinking that by doing so they will increase the value. It’s actually quite the contrary – if you aren’t familiar with the whole ordeal of coin cleaning and all its pros and cons, it is best to avoid it altogether. The hobby of coin collecting can carry surprising benefits, especially if you decide to sell your collection. A lot of time and dedication goes into the hobby, for example, when you’re in search of rare collectibles. So, it is understandable that collectors will want to earn a nice amount of money for the graded, high-quality coins. 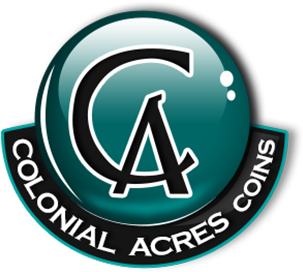 If you need help determining the exact value of your coins, go to Colonial Acres and seek the help of its expert appraisers. Being experienced and highly reputable, the staff at Colonial will give you the most precise estimation for your collection. Get in touch with Colonial today and get your rare Canadian coins appraised today.